SOS Children's Villages provides long-term family based care to orphaned and abandoned children around the world. Learn more about SOS Children's Villages how we care for children in need. Janani*, the little girl who once filled the SOS Children’s Village with her cry has turned into a beautiful girl today. “I was born on the 26th of February and I have come to SOS Children’s Village on the 28th.” She said with a beautiful smile. She was just two-days-old when she arrived at the SOS Children’s Village in Piliyandala, Sri Lanka after losing her parents. When she was first handed little Janani, Sumithra her SOS Mother, kissed her with teary eyes and held her close to her heart to keep her warm. “To date the love and warmth of my mother comforts me at any given time,” Janani says. Soon after the arrival of Janani the house was filled with the angelic scent of the baby powder and infant products. Like any other mother, Sumithra spent countless restless days and sleepless nights attending to the needs and cries of little Janani. The other children in the house were excited to welcome Janani as well. Janani’s sisters were busy cuddling her and the brothers were curiously watching baby Janani’s every action as it was a new experience for them. “My sisters help me with my studies. I play chess with them. Sometimes we all play cricket with the other friends from the village. My brothers in the youth home come to see me when they are free. My older brothers and sisters who are working in different places bring chocolates and marshmallows for me.” She expressed her love for her siblings. Janani is well aware about how her mother looked after her throughout all these years. She loves her mother and is secure in the knowledge the unconditional love she receives from her mother and the brothers and sister. Janani helps her mother in her household chores as much as she can as she wants to ease her mother’s chores. “I enjoy schooling. I have good friends in school and my teachers are very kind. My favourite subject is Mathematics. I scored 82% marks for Mathematics at the last term test. I enjoy solving sums when I am free. I want to get better each day in my studies as my aim is to become an Engineer. I am curious to learn how the Engineers do new inventions. I will also invent things when I become an Engineer. ” Janani says with passion. Dreams and hopes are what keep all of us alive. The generous sponsorships from our dear friends help us in making her dreams a reality. Most importantly it has allowed Janani to have a happy and healthy life with the SOS Family, surrounded by her loved ones. Sri Lanka is home to over 300,000 orphaned and abandoned children. SOS Children’s Villages provides a loving home to over 900 orphaned and abandoned children in Sri Lanka. SOS relies on the generosity of Canadians to be able to continue to provide for these children in need. 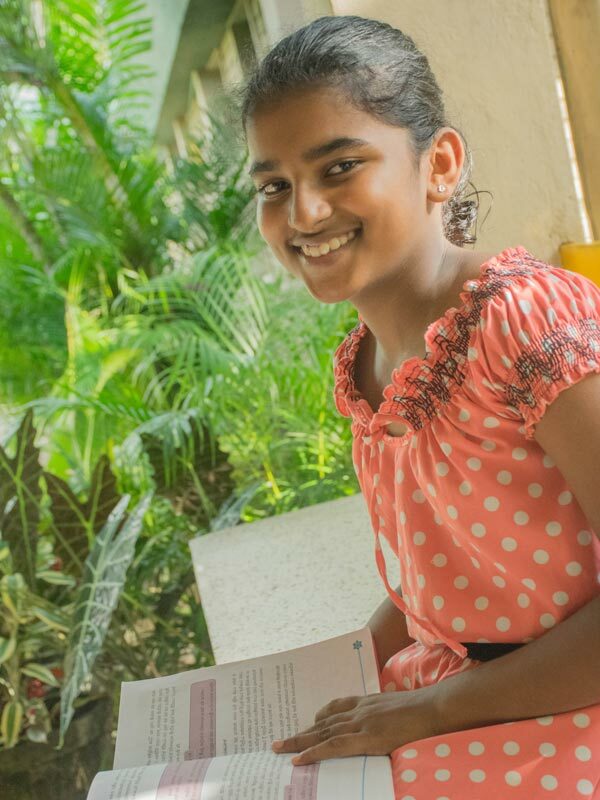 Learn more about SOS Children’s Villages in Sri Lanka. Please sponsor a child today. Change a child's life and give them hope for the future.